Hi all, I'm a regular in the acoustic forum but I lurk here sometimes. I've started to teach my son guitar, and I'd like to get him an electric of his own. I'm on a bit of a budget so I'd like to start out with a lower end guitar but my knowledge of Washburn made electrics is sadly lacking. Oh great and wise electric gurus, would you share your opinions on what would be a good starter guitar/kit? Thank you very much for taking the time to help me and my son. well, there are far more knowledgable folks lurking here, but that's never stopped me from voicing an opinion before. couple of things...I don't know WHERE you are, or what a bit of a budget means to you. other ideas, find a shop that sells on consignment. maybe you'll get lucky. I recently sold a WI15SJK Idol Electric with cool Stephen Jensen Life Graphic to a young fellow and he loves it. Considering how nice it was the price was surprisingly low with a softshell case. 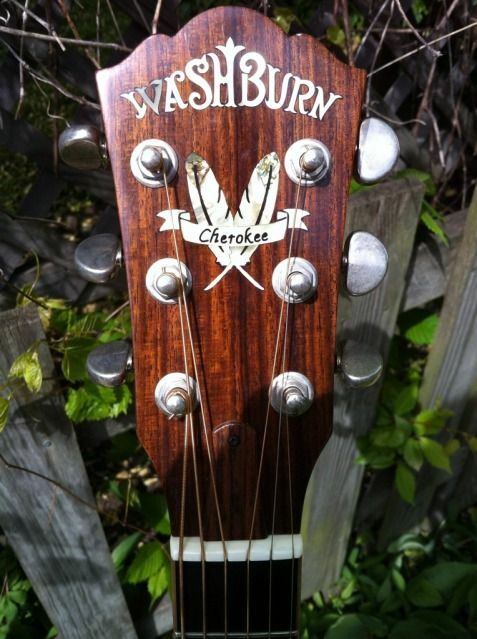 Check your local Washburn Dealer for price and availibility. You would be very happy with this choice of guitar. It is nice to see a parent wanting to start their child off on the right foot with a decent and playable guitar.